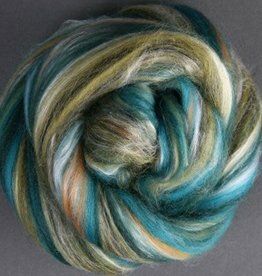 Fleece and Roving - Spun Fibre Arts, a local and online yarn store specializing in natural fibres. We have a large selection of colours in Ashford's 100% Corriedale roving. This is the perfect roving for felting, spinning, or extreme knitting! Fleece hand dyed by Three Dog Knits in Ontario. Perfect for spinning or fibre crafts.